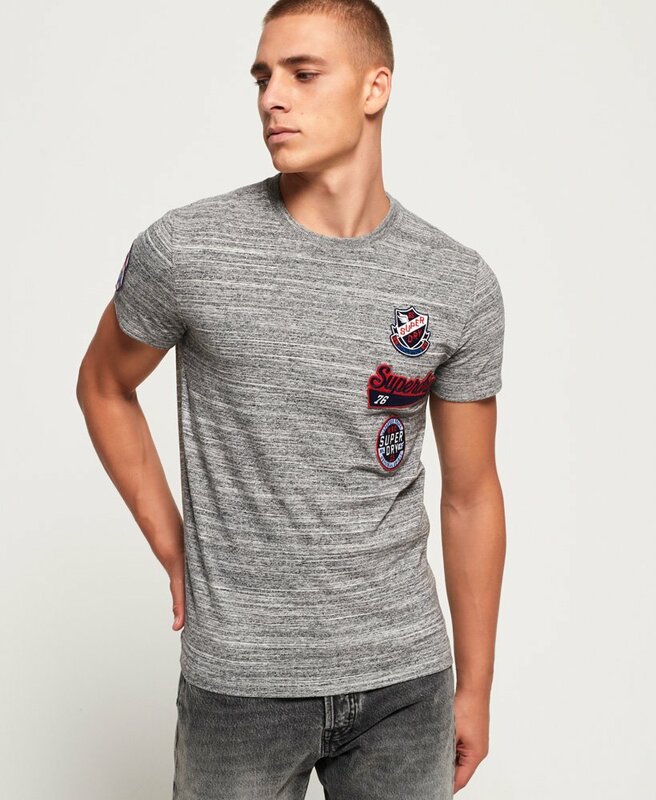 Superdry men's patch t-shirt. A classic short sleeve crew neck t-shirt featuring a selection of motorcycle-inspired Superdry patches on the chest and sleeve. Wear this tee with a pair of distressed skinny jeans for an effortless casual look.